We have been invited to the 2017 AfricaCom conference which were held in Cape Town on the 7thth to the 8th of November 2017. I was speaking at the event about virtual reality in South Africa and some of our past and future projects, and about where the opportunities lie for the commercialization of virtual reality in South Africa and Africa. Our company Virtual Reality have extensive experience in Virtual Reality in South Africa and is possibly the oldest virtual reality company in South Africa. I have been in the industry since 1998 and we currently have an extensive client list of corporates in South Africa like ABSA Bank, Standard Bank, DSTV, Extramarks Educational Platform and Discovery to name a few of our clients. In my opinion the virtual reality industry in South Africa is alive and well, on average we get at least 3 phone calls or inquiries from South African Companies looking for a Virtual Reality Marketing, Business or Educational solution. 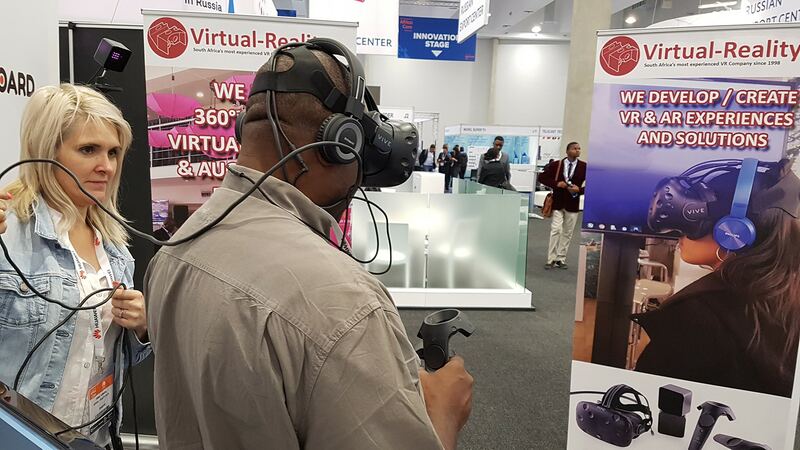 At our exhibition stand at the AfricaCom conference we had one of the busiest stands and lots of requests from attendees including high profile CEO’s of how they can utilize VR in their industries. Check out the video we created of our stand at the AfricaCom conference. 11b Scafell Road, Floracliffe, Johannesburg, South Africa, 1709.